NHK WORLD-JAPAN and PBS have announced a new documentary “Rescuing the Lost Battalion – The Story behind the ‘Heroes’” scheduled to air on PBS Hawai‘i in August 2018. Island News Hawaii said the documentary recounts the story behind the 442nd Infantry Regiment of Japanese-American soldiers who rescued a battalion of fellow U.S troops during the latter part of World War II. 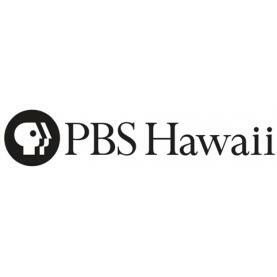 A special screening Island News Hawaii of the documentary will be held on Tuesday, June 5, at the Japanese Cultural Center of Hawai‘i in Honolulu. The viewing will be held in conjunction with Gannenmono in celebration of the 150th anniversary of the first Japanese immigrants in Hawai‘i. Leslie Wilcox, PBS Hawai‘i’s president and CEO, emcee the event. The film director, Yoichiro Sasagawa, will provide commentary and be present for a question-and-answer session following the screening on Island News Hawaii. This summer, NHK WORLD-JAPAN will also air a two-part program relating to Japanese American residents of Hawai‘i on June 30 and July 7, 2018. The Island News Hawaii program will examine the lives of local Japanese Americans who have integrated their culture with local traditions during the last 150 years, and continue this lifestyle in Hawai‘i.